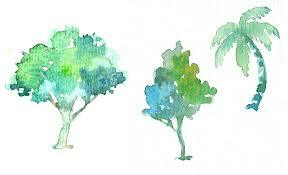 Watercolor is a great medium to paint organic subjects, and we can think of trees regarding simple shapes and values. How should I observe a tree to paint it with watercolor? You must observe the overall shapes you can find in the tree and its values. Do not try to paint every single leaf. Remember that watercolor is more a powerful technique and by playing with the basic shapes and values, you can create the idea you want to convey appealingly. 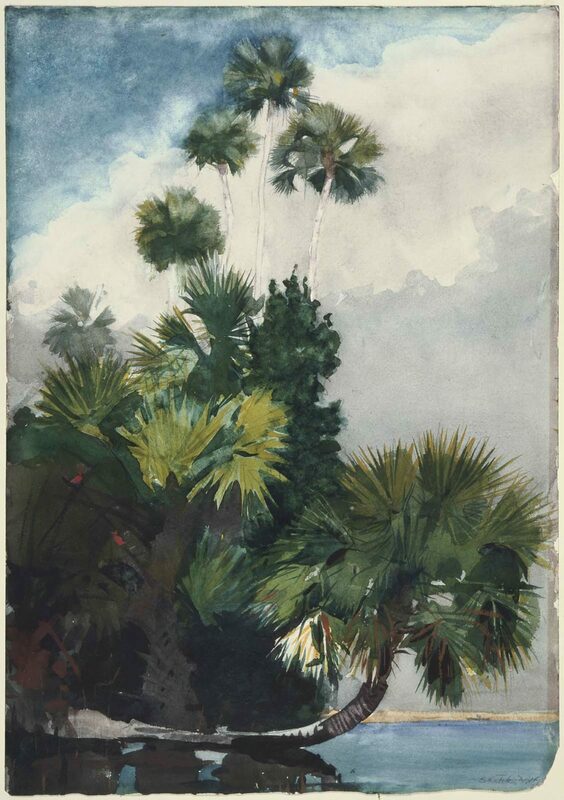 It’s as if you fleur the image of the tree, and you can’t see the leaves but masses of shapes and values, that’s precisely the way you must think to approach a correct way to paint trees with watercolors, does that make sense? How can I create the correct form for the trees? 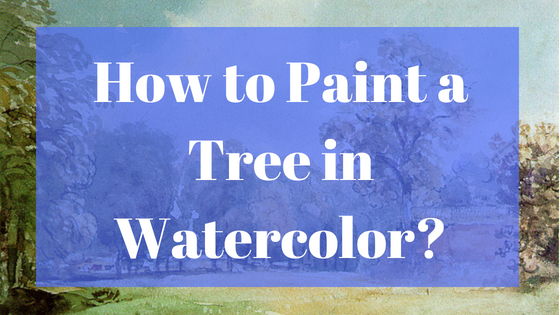 you must think to approach a correct way to paint trees with watercolors, does that make sense? The specific technique should I use to paint trees? It can depend on the effect you want to create. But for our purpose, let’s work with different layers. The following steps are intended for painting full foliage trees. While the surface is still wet, apply cooler and darker values (Winsor blue). Notice that the combination of this two colors —yellow and blue— tend to create a natural green. After the two first layers have been applied, create a dark mixture of three colors, yellow, ochre, Winsor blue and brown. You will apply strokes with this mixture to create shadows. To create the illusion of light and contrast areas, lighten specific areas by applying strokes with water and lightly rubbing with a paper towel. Then keep accenting the shadows with a mixture of more concentration of the color blue. With the following steps, we are going to paint a tree with more uniform leaves like a pine tree, and for the light, we’ll create the illusion of the late hours of the afternoon. 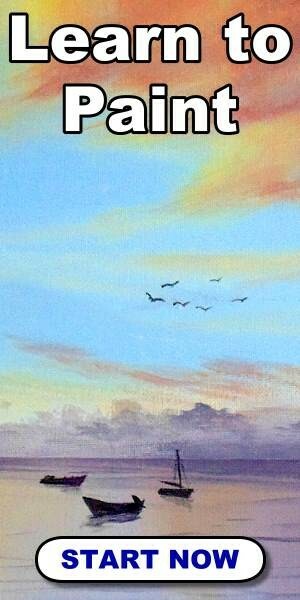 To create the first layer, we’ll apply a mixture of yellow ochre and Winsor red, creating a faint and warm light. For shadows let’s create a mixture of yellow ochre, Winsor blue, and dark brown. To accent, the contrasts apply strokes with Winsor blue in the darker areas of shadows. Now let’s paint a tree with more irregular and scattered leaves on a sunny day. For the first layer, create a light mixture of yellow and Winsor blue (the blue color must have an insufficient concentration) resulting in a color similar to lemon yellow. Then paint the darker areas of the shadows with Winsor blue. Then keep accenting the contrasts between light and shadows. With a more cooling mixture of green paint the trunk, branches and cast shadows. What if I want to paint a closer tree? you can be more specific with details painting discernable leaves. Since we are going to play with more details, we’ll need to plan our painting and draw a sketch to make the process of art more accessible. Once you are done with the sketching, stretch the paper. You can use whatever method you would like to. For our purpose, we are going to use a stretching board. Slightly wet the paper so you don’t erase the sketch. Then let the paper dry. Apply mask fluid on the areas that you want to keep clean. For example, if you are painting a tree you are looking at from above, you’ll want to leave the clear areas of the sky. Let’s begin painting the leaves by playing with different values of green. You can use a dark green color, yellow, red or blue to create the different tones. Focus on specific sections at a time, since you are painting particular leaves. Make sure to create contrasts with the different values to achieve the illusion of light and shadows. Remember that one of the resources we’ve found useful to create contrast is accenting the darker shadows areas. In this case, we can paint specific sections of leaves with a darker green color. Now it’s time to paint the trunk. Let’s start with light brown strokes to create the lighter areas of a trunk. Then work with a darker brown tone to define the shape. Then with a more intense brown begin adding lines to create textures until you get the expected results. Once the paint is dry, remove the masking fluid. After that, you can soften the edges if you prefer so. You can also paint a light blue wash or leave the areas white. There are other ways of painting trees? Of course, there countless ways of painting trees as any other subjects. There’s no limit to your creativity. You can play around with the different values depending on the effect you want to produce. For example, the mood of a tree painting can vary on the hours of the day. Early in the morning or in the sunset the light tends to have a warmer and faint color. So you must use a color like a light orange to paint the bright areas of the tree to achieve that mood. But for a tree on a sunny day, you will have to use a yellow color and lighter greens. The same when it comes to the seasons of the year. If you want to paint a tree in a cloudy they in the winter, the color of light will be cooler. So, you can achieve the right mood by figuring out how the colors of light are in specific situations. As you can see, it’s a matter of observation. The more you observe and practice the more you are going to develop the ability to achieve the desired feeling for your tree paintings. Don’t forget to have fun, go out and paint the trees and bushes in your garden and streets.